Wine growing area: Our Cabernet grapes grow in Montan and Auer in the South Tyrolean Lowlands, at an altitude of 220 – 380 metres. The vines are cultivated in gravelly clay soils, on southwest-facing vineyards. Vinification: Once they have been delivered in small 220 kg boxes, the grapes are gently crushed, destemmed and fermented at a controlled temperature of 27°C in the fermentation tank. The wine is aged and refined in large wooden barrels. Harvest and Yield: The Cabernet grapes are harvested by hand in early October and produce 65 hectolitres of wine per hectare. 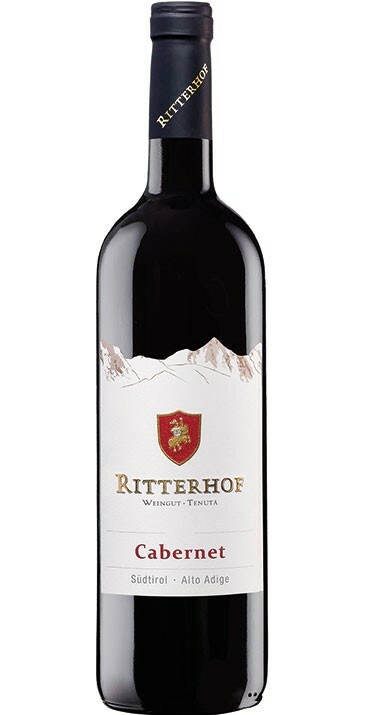 Reccomended with:: This Cabernet goes perfectly with red meat, venison, game birds and strong cheese, among other things.